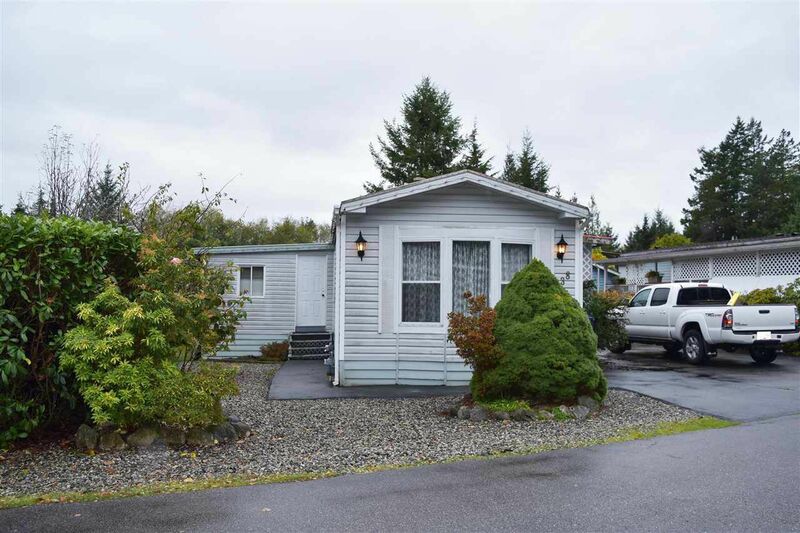 Situated in Rockland Wynd Mobile Home Park this two bedroom, two bath home has been well maintained. The gardens bring privacy and include two detached storage sheds and a parking space. The interior is open with the dining area included with the kitchen area. The master bedroom is off the living room with a nice walk-in closet and 4 piece ensuite. The second bedroom has access to the main bathroom and an alcove for laundry. There's an additional storage area with access to the rear sundeck.